Yad B’ Yad (Hand in Hand) is our Synagogue based initiative for post B’nai Mitzvah teens and young adults with developmental challenges. This program was created to fill the void which currently exists for Jewish teens with special needs in Westchester County. This is a population that desperately needs to learn a large repertoire of life and social skills—abilities that most teens understand and take for granted. In order to generalize these skills, teens with special needs require lots of opportunities to practice these skills and a lot of arenas to practice them in—a need that secular schools can’t possibly have the time to fill. 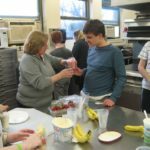 This program recognizes the importance of peer mentoring and inclusion not only for the teens with special needs, but also for the opportunity it provides for the typically developing teens to learn with and support their peers. Yad B’Yad runs on Wednesday nights during Kol Ami Religious School from 6:00-8:00 pm, beginning with a community dinner. This is the same night as the regular religious school program for 7th-12thgraders, which allows for a seamless inclusion opportunity for the peer-mentoring component of the program. 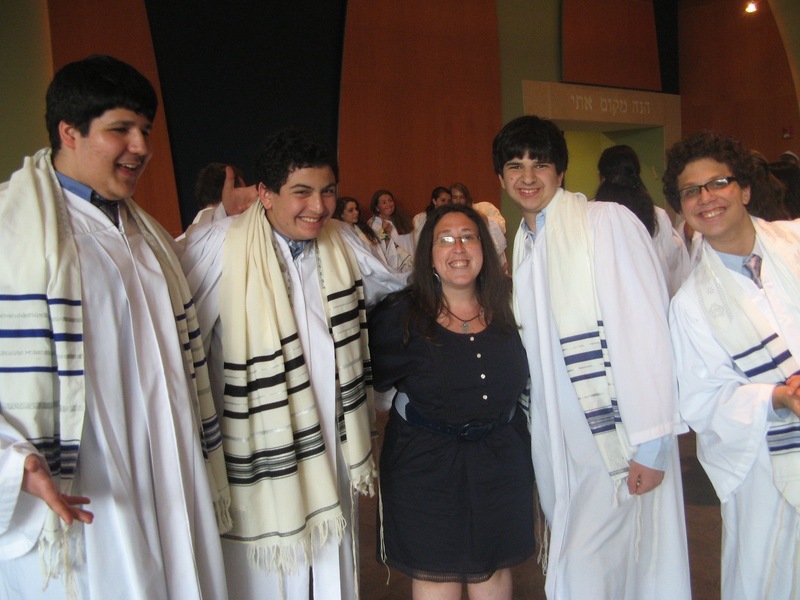 Students work in both a classroom environment and in the community to practice and experience a variety of life skills and Jewish living opportunities. Our Yad B’Yad Students participate in a family Shabbat service and dinner during Disability Awareness month and share their learning with the community. Our participants value the social component of our program the most… in some instances the first opportunity they have to make friends who share their interests and struggles. For more details, please contact Jessica Yablow, Yad B’Yad Program Coordinator. Download our Yad B’Yad brochure. Register for our Yad B’Yad program.